The Christmas tags we posted about in November made their officially debut on our Christmas gifts. And since it’s Christmas Eve, I thought we would show you how they turned out! 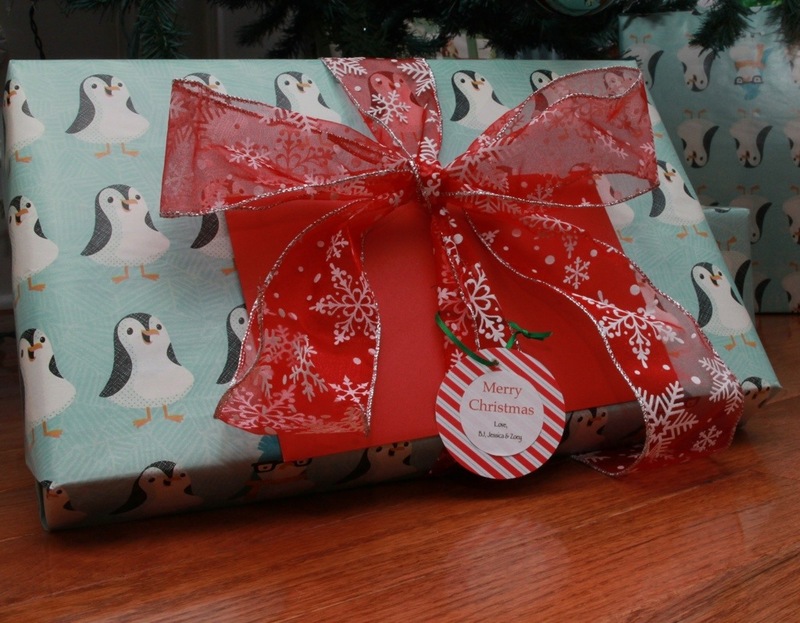 In order to label each gift recipient, I needed a way to write names on the tags. 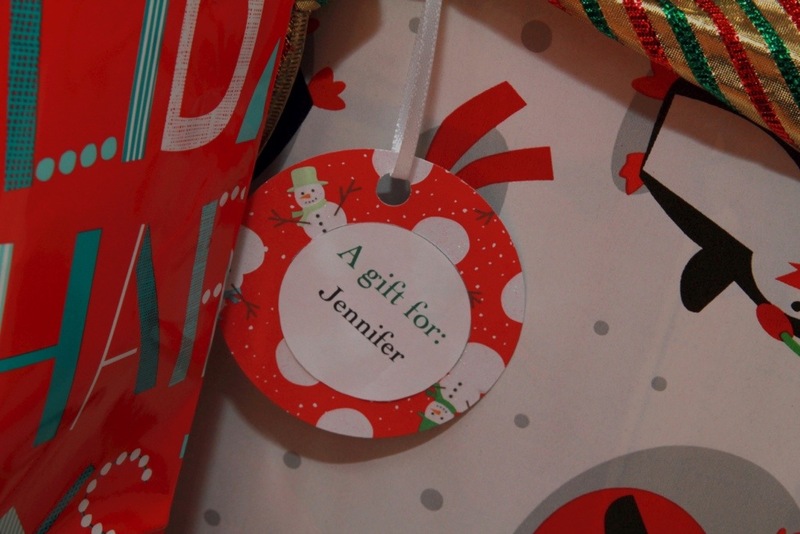 To solve this, I created labels with “A gift for” and the recipients’ name to place on the back of the tag. To create the labels, you can use programs like InDesign or Pages. After I was satisfied with the design and printed a test page on regular paper, I printed the labels on sticker paper like I did for the front labels. And in case we needed to purchase any additional gifts, I also created a few blank labels to write on. I’m really happy with the way they turned out. They were a little time consuming to make because I had to cut all the labels by hand, but the end result was worth it. They are a nice personal touch to each of our gifts this year. 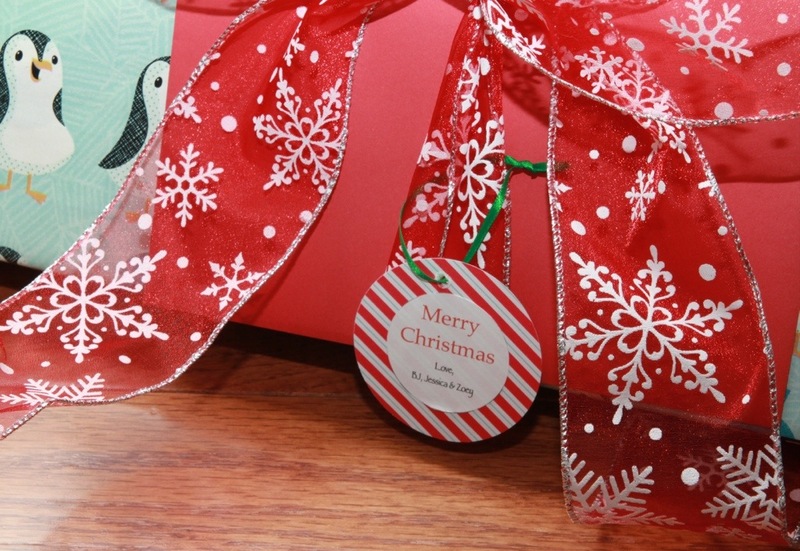 Do you make your own gift tags or bows? I love adding personal touches to Christmas gifts. I think it makes them more fun to open. This entry was posted in DIY and tagged Christmas, Christmas Eve, Christmas gifts, DIY, gift tags, gift wrap, holiday projects by Frame by Frame Style. Bookmark the permalink.